The Munch Factory’s roots go back to a pop-up in a bar on Jefferson Davis Parkway and Tulane Avenue. “We started doing hot plates there before moving to Gentilly,” Jordan said, who co-owns the restaurant with his wife Alexis, who handles the Front of House responsibilities. It was in Gentilly that they established their loyal fan base. Two years back the restaurant relocated on Sophie Wright Place, where it is now nestled inside a clutch of atmospheric bars and shops near Coliseum Square. The restaurant has bloomed, still drawing loyal followers from Gentilly while rounding out the crowd with Uptowners, late night types off to their start and tourists. There is also the occasional celebrity couple like Beyoncé and Jay Z, who famously stopped by for Oysters Bienville and Shrimp and Grits in September, putting the Munch Factory in the national spotlight. “I still can’t believe that happened. I guess hard work pays off,” Jordan said. The Munch is expanding as well and will be opening a location in the new airport this spring. The herbed grits here deserve special mention. Stone-ground and cooked down with onion, butter and fresh thyme, they are creamy and textured at the same time. 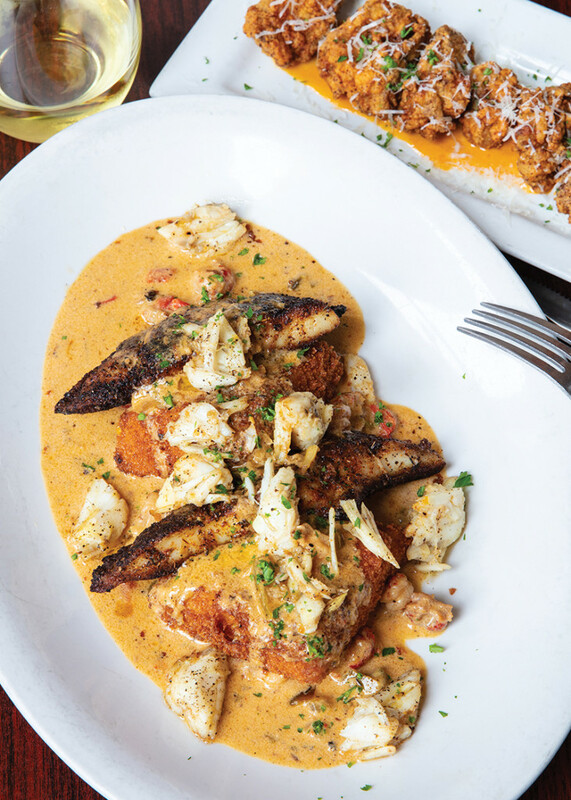 They serve as a foundation for a lot of dishes, the excellent shrimp and grits being an example, and the breaded version for blackened redfish another. “People here like grits with just about anything. People in other regions might like rice with their meals, but here we like grits,” Jordan said. The Munch Factory is open Tuesday through Sunday with a Sunday brunch. Parking is easy to find in the surrounding area, although this is where Magazine splits so it can be confusing. The Munch Factory is unique in that it has a composed menu that doesn’t line out easily when compared to other Creole restaurants around town. That said, Ye Olde College Inn also has a Creole menu where the chef adds personal flourishes to the expected standard dishes. It is a larger restaurant and much higher volume so it doesn’t have the homey touch of Munch Factory, but the Shrimp and Grits comes with a Monica sauce and there are plenty of seafood items that don’t skimp on seasoning. As a bonus, there is a respectable array of healthier options, making it a safe choice for larger groups. Jordan Ruiz’s love of cooking began in the home. “My mom cooked every day. I learned a lot from her,” Jordan said. He spent time at Commander’s Palace before heading off to the Culinary Institure of America in Hyde Park, New York which broadened his skill set profoundly. “They taught me French, Italian and South American cooking. And also some Japanese, Chinese and Indian – I’ve tasted a lot and just had a broad exposure to ingredients and methods through my culinary school experience,” he said. “They also tried to teach Creole and New Orleans at the CIA but they just couldn’t capture it. Not like I knew it from here.” Jordan always knew how he wanted to cook. The CIA and stints with big operators like Commander’s and restaurants in Las Vegas galvanized it. The Munch Factory is his way of bringing these classic Creole flavors into the modern age with an emphasis on fresher ingredients and a wider world view. The Munch Factory. 1901 Sophie Wright Place. Lower Garden District/Coliseum Square. 324-5372. L, D Tues – Sun. Brunch Sun. Closed Mon. TheMunchFactory.net.